Malia is at the pet store. What will she get there? 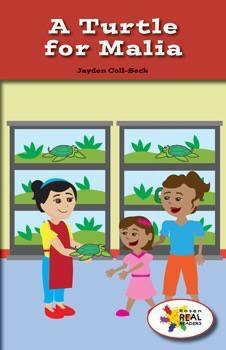 Through descriptive text structure and colorful illustrations, this fictional narrative will help readers learn about getting a pet turtle. Readers will learn how turtles live and what is needed to take care of a turtle. This fiction title is paired with the nonfiction title My Sister’s Turtle.